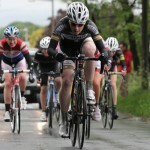 Last weekend was the Holme Valley Wheelers Two Day Stage Race in Holmfirth. With some of the country’s top riders taking part, plus World & Olympic champions it was always going to be a tough weekend of racing. After working in the morning, I was able to escape the office to go and race the first stage on Friday afternoon on a hilly circuit – it was a great course with some short sharp climbs followed by some long rapid descents. After the first lap, three riders got away, though I have to say it on the Merlin website, it consisted of the three World team pursuit champions from Wiggle Laura Trott, Jo Rowsell and Elinor Barker – they stayed away for the remainder of the race putting 1min 30 into the chase group which I was in coming 11th. An early morning start for the 10-mile Time Trial. The forecast was threatening rain and it certainly didn’t disappoint! Having spent last year predominantly time trialling it was great to be back on the TT bike, I managed to post a time of 21.58 to finish 4th – and ultimately move up to 4th place overall on General Classification. 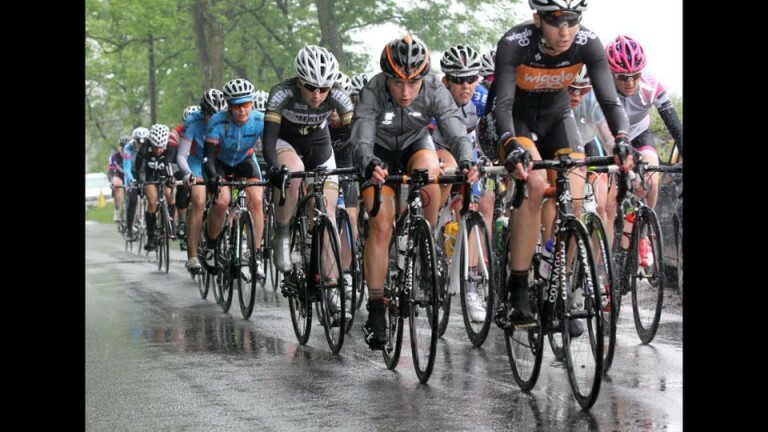 The weather certainly didn’t let us down for the final road race – after glorious sunshine for the first stage we got torrential rain for the last! The route was rolling, with a fast twisty descent through the villages before climbing back up to the start. Lap by lap riders lost contact with the group leaving a small group at the end to contest the finish. On the final corner with about 200-metres to go, for me the wheels fell off and the finish line couldn’t come soon enough, I knew to hold onto 4th on GC I had to keep an 8 second gap. I counted and I just couldn’t get there in time meaning I lost 4th place on GC, I finished 7th on the stage and 5th on General Classification. Tagged bex, merlin athletes, racing, team merlin. Bookmark the permalink.